Smoke alarms with photoelectric sensors detect smoke and smoldering fires much faster than ionization sensors. The two sensors working together are better and much more reliable than one one sensor. Think of the two sensors this way – the photoelectric sensor quickly detects the smoke, the ionization detects the flame. 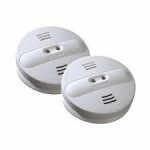 Dual Sensor Alarms detect both – quickly! 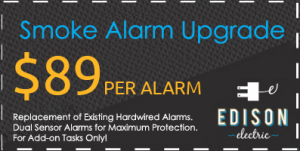 Don’t roll the dice when it comes to protecting your family from fire, have one of our experts replace your expired fire alarms with the best – Dual Sensor smoke alarms! Until 3/31/15 we are offering the $89 smoke alarm upgrade special. Call today 612-587-2777 or visit our website and watch our video about ionization and photoelectric smoke alarms!